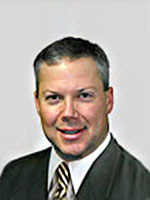 Dr. Angell graduated from Connecticut College with a Bachelor of Arts. He earned his medical degree from Boston University School of Medicine and completed his residency at Mount Sinai Hospital in Hartford, Connecticut. Dr. Angell is board certified in Obstetrics and Gynecology. He is a member of the American Congress of Obstetricians and Gynecologists. Dr. Angell specializes in laparoscopic hysterectomy, advanced laparoscopy, and general obstetrics and gynecology.